A Well-Seasoned Life: A Holiday Review: "Have Yourself a Very Vintage Christmas"
A Holiday Review: "Have Yourself a Very Vintage Christmas"
Putting up the Christmas tree is one of those events that always makes me reminisce as I pull out each ornament and recall the moment it entered my life. We have ornaments that represent our travels, our beloved pets, and, of course, our children. One side of my tree is dedicated to my children: the ornaments that hold photos of two bald-headed baby boys, their annual personalized ornaments, and, over the past few years, the ornaments they've made themselves at school. The kids are taking over my tree! The nostalgia of the Christmas holidays is part of its beauty. 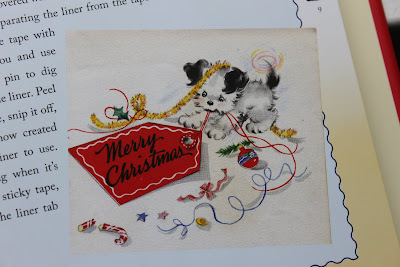 And, when I opened Susan Waggoner's Have Yourself a Very Vintage Christmas, I was transported back to my childhood as a little girl in the 1970s. There before me was the Christmas art work that I had loved so much in my long lost Little Golden Books: the cherry cheeks of the round-faced Santa, curly-haired children and scrappy puppies frolicking in a snow-blanketed world all represent the world of Christmas I longed for as a child. 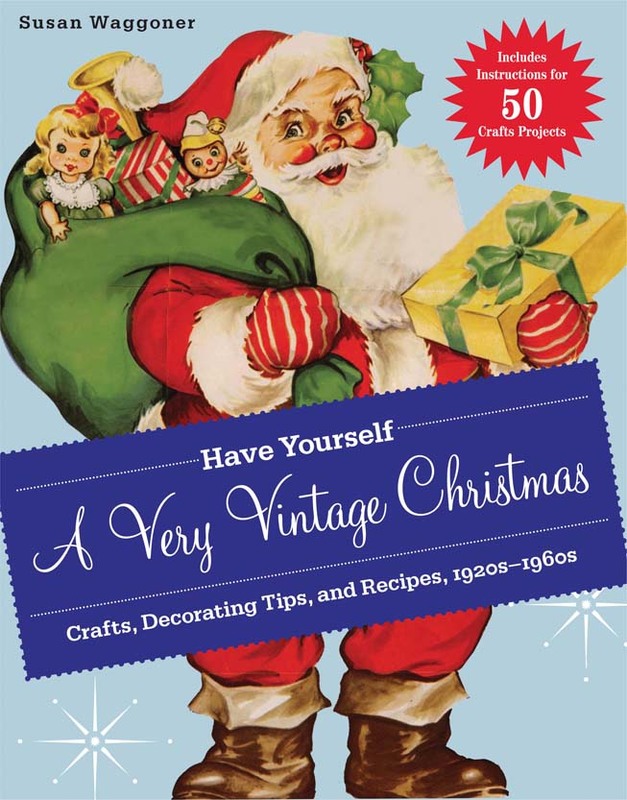 Let's take a look inside Have Yourself a Very Vintage Christmas: Crafts, Decorating Tips, and Recipes, 1920s-1960s. The book begins with tips on how to use the book and suggestions for the basic materials to have on hand. Then, the chapters are divided by decade beginning with the 1920s and ending with the 1960s. The book concludes with chapters on candy (recipes), an art portfolio, and a source list. The major emphasis of this book is on crafts. Each decade's chapter includes a style file which gives you a little background on the decorating styles and traditions that were used in that decade. Several craft projects that reproduce decorations from the era are included within each chapter. The art portfolio includes vivid, full-color art work that can be reproduced easily on a color printer and used to create beautiful retro projects for your home. The candy recipes will take you back to a simpler time. I could imagine Ralphie and Randy from The Christmas Story sneaking tins of these candies into their bedroom: Mackinac Island Fudge, Caramels, Turtles, Peanut Butter Cornflake Clusters, Butterscoth Haystacks, Almond Bark, and Buttercrunch. If you're looking for a different take on crafts or if you're just a fan of retro holiday decorating, this is the book for you. Even if you're like me and have no crafty skills whatsoever, you'll enjoy curling up with this book, eating a piece of fudge, and envisioning yourself in the midst of Christmas styles past. Disclaimer: A copy of the book was provided by the publisher, but the opinion stated here is my own.